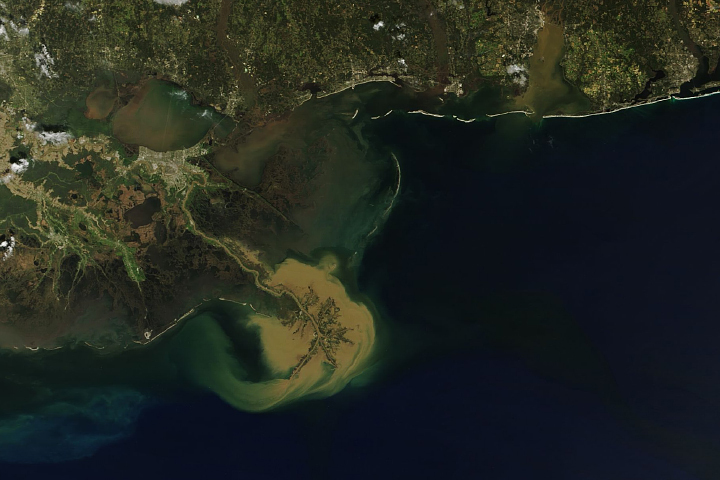 The Mississippi River carries roughly 550 million metric tonnes (500 million tons) of sediment into the Gulf of Mexico each year. 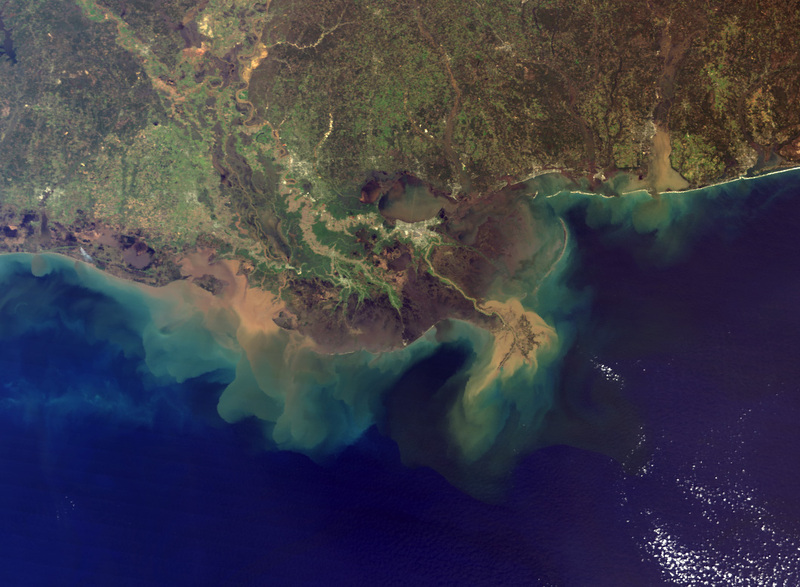 This true-color image, acquired from the Moderate Resolution Imaging Spectroradiometer (MODIS) aboard NASAs Terra satellite via direct broadcast on March 5, 2001 at 10:55 AM local time, shows the murky brown water of the Mississippi mixing with the dark blue water of the Gulf two days after a rainstorm. The river brings enough sediment from its 3,250,000 square km (1,250,000 square mi) basin to extend the coast of Louisiana 91 m (300 ft) each year. New Orleans (gray pixels) is located in the center of the image, just below Lake Pontchartrain. 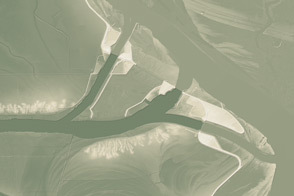 Contained by levees, the surface of the Mississippi actually flows above the streets of the city. 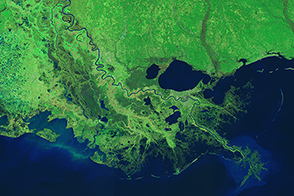 To the left of the Mississippi River delta is the Atchafalaya River, a distributary of the Mississippi that carries about 30% of the rivers total flow. Image courtesy Liam Gumley, Space Science and Engineering Center, University of Wisconsin-Madison and the MODIS science team.